People have traveled since the beginning of times, and for that purpose they built roads, sidewalks and even plazas and paved them with different materials, but cobblestones, probably due to its durability and longevity, was the most widely used material for centuries. 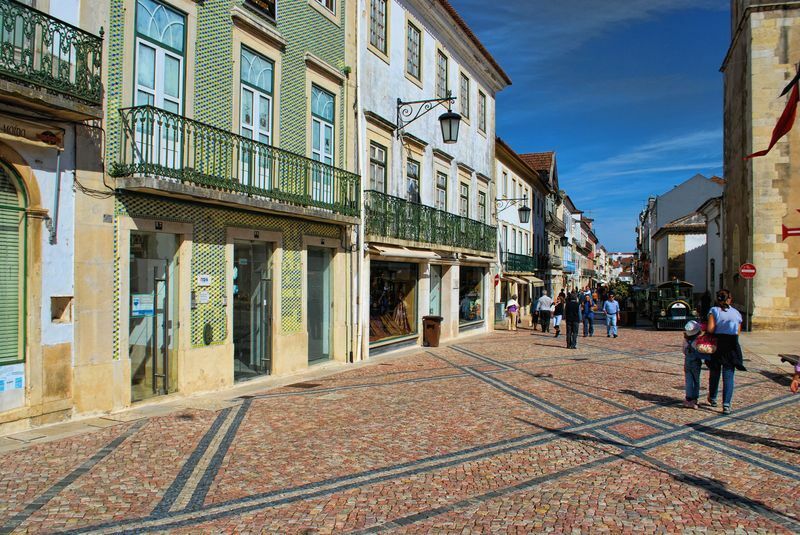 Nowadays cities use asphalt for their roads but cobblestones are still used today for decorative purposes. In the case of my home town Tomar, there is a mix of cobblestone pavements from medieval times in the old streets of Tomar and new pavements built with interesting designs. 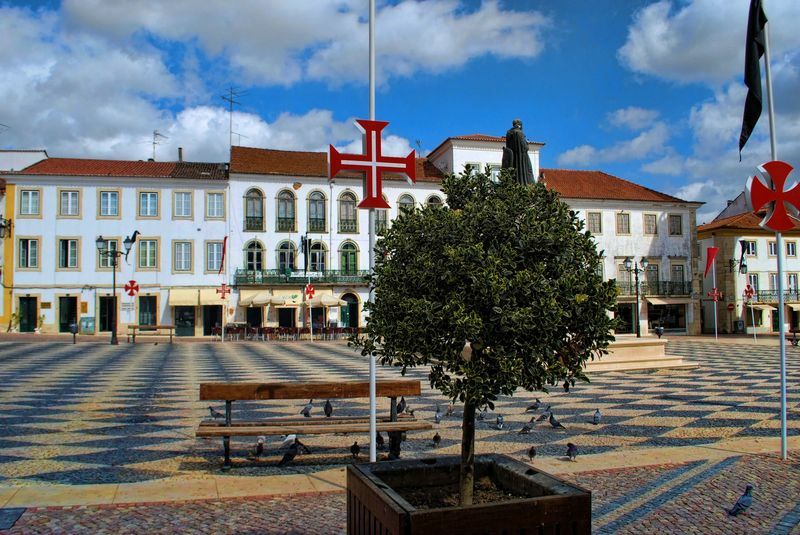 The photos below show cobblestone pavements at Praça da República (Republic Square). 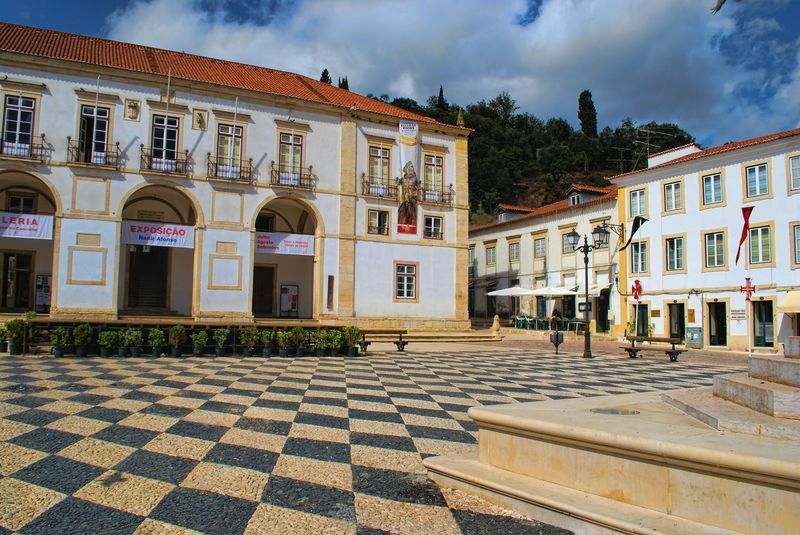 This cobblestone pavement with parallel lines crossing each other, is still at Praça da República in the City of Tomar, facing the street Corredoura (Rua Serpa Pinto).